Our story began in the early 17th century, when the catholic House of Habsburg worked together with Jesuits to stop the spread of reformation thoughts in their empire. Therefore, Cardinal Archbishop of Esztergom Petrus Pazmanus founded Collegium Posoniense on September 11 1626, with the approval of the King Ferdinand II and Jesuit Superior General Mutio Vitelleschi. 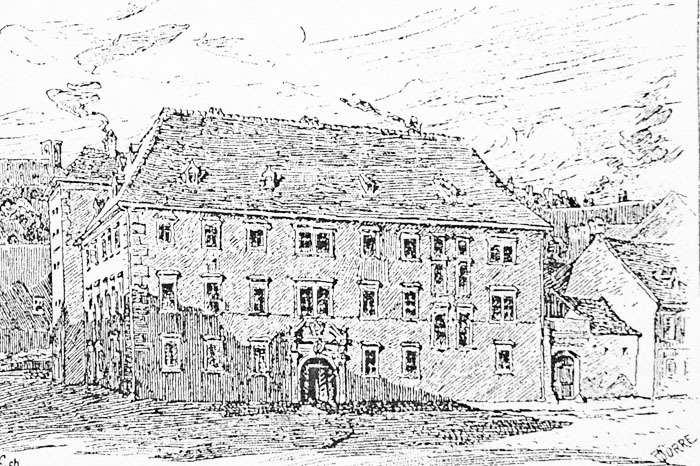 The classes started on November 5 1627 with 46 students (no girls) and 3 teachers in the building on Kapitulská ulica. Through our almost four centuries of existence, Gamča has experienced various changes (school policy and state ideology, establisher, building, language of instruction, majors), during which it belonged and still belongs to the pillars of education at least in the Bratislava area. We are currently working to provide you with a detailed history (without any ideology bias in it) of our school between 1626 and today.